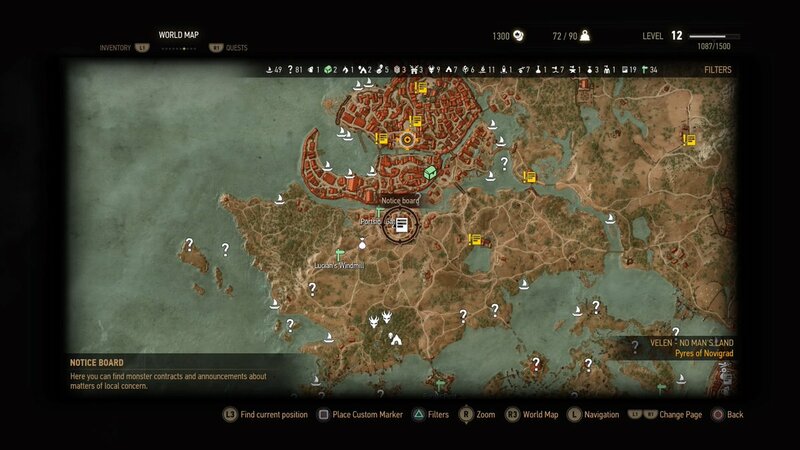 - You’ll find this quest on the Notice Board found near Novigrad’s Portside Gate, on the south end of the city. 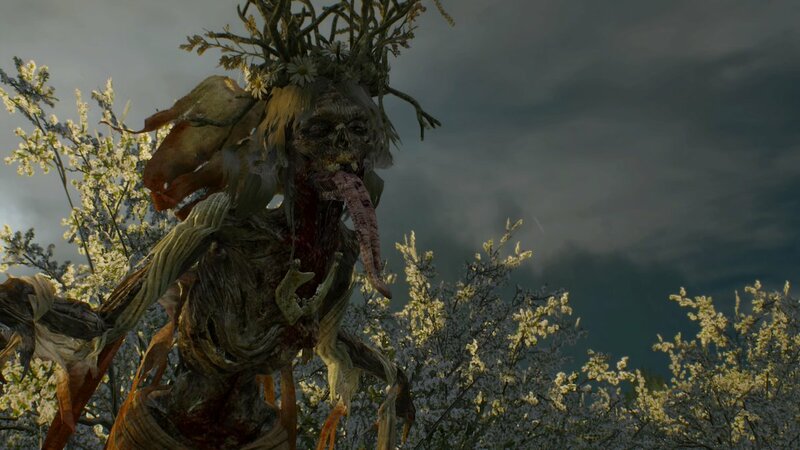 You’ll walk right past it on your first trip into Novigrad, more or less. The petitioner, a woman named Helma, is a short walk down the road. - Helma will describe the trouble - namely, the White Lady herself, a haunting spirit. Barter for an increased fee if you wish, then agree to get a new waypoint, south of the woman’s small house. Head into the fields. 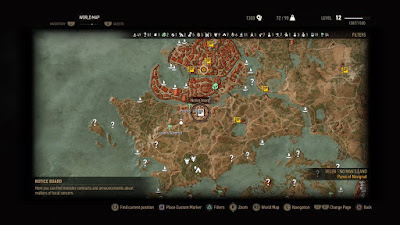 - You’ll find a search area at your destination, though it’s pretty easy to spot the burning fire and the corpses out here without Witcher Senses. Check the three highlighted corpses by the fire and Geralt will realize that he was looking for four bodies; this will trigger the appearance of tracks leading away from the fire. - The footprints lead up to Darhim Castle, a little ways to the east. Descend into the cellar - checking containers along the way, as there’s some pretty nice swag - and you’ll find a Ghoul at the bottom. Kill it, then check the corpse it was protecting. Geralt will decide a Noonwraith is to blame. The White Lady, a nasty Noonwraith. Noonwraith! She fights like any Wraith creature, really. Stand near her and she’ll swipe at you. Attack her normally and you’ll do jack all damage. To beat the White Lady you need to throw down Yrden, lure her in, and then hit her while she’s inside the magical circle. Attack her doppelgangers when she splits up, then repeat with Yrden traps until she goes down. The White Lady telegraphs her attacks quite a bit, so dodging out of the way shouldn’t be a problem - though her lunges are a bit long, so sidestep to the left or right, not back. - Grab the Noonwraith Trophy from the White Lady’s remains once it goes down, then return to Helma for your reward.